Life cycle assessment (LCA) is a process used to numerically assess the use of raw materials, their environmental impact, and their potential environmental impact on the earth and ecosystem over the entire life of a product, spanning the procurement of raw materials through to production, distribution, use and disposal. 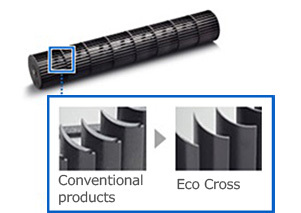 To determine and reduce its environmental impact, the Nisshinbo Group calculates LCA data, which it uses to improve product planning and manufacturing processes. 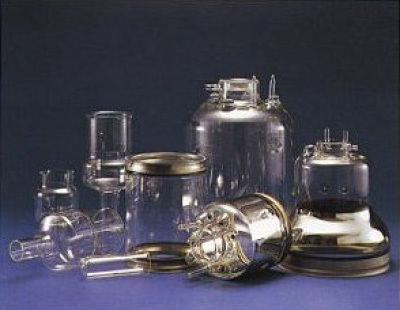 Japan Radio Glass Co., Ltd. specializes in handblown glass and offers a wide variety of industrial glass products in small quantities, while preserving its hand-made molding traditions. 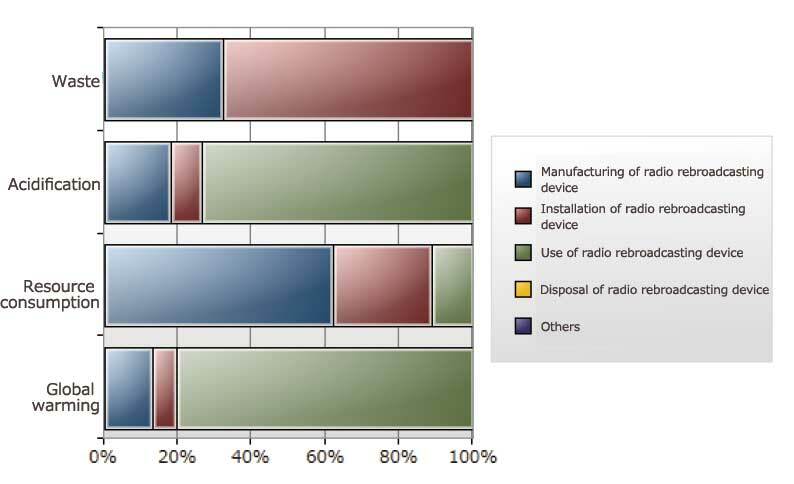 Japan Radio Glass conducted LCA at both the production and disposal stages of its glass products, discovering that 45.4kg of CO2 was emitted for each kilogram of glass product and that 99% of those emissions occurred during the production stage. In order to reduce CO2 emissions, the company discussed the ratios of electricity and town gas it used as a heat source. 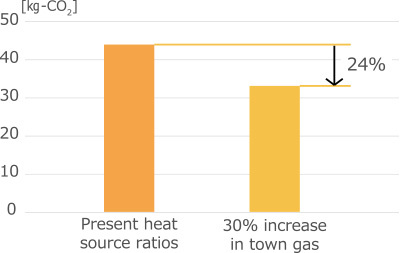 As a result of this discussion, the company increased its usage ratio of town gas by 30% because it was found that town gas only produced roughly 40% of the CO2 emissions that electricity produced for the same amount of heat. Japan Radio Glass realized that it could reduce CO2 emissions by 24% this way. 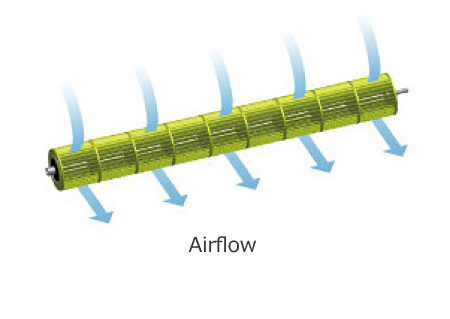 Nisshinbo Mechatronics Inc. has developed and is selling a cross-flow fan for household air conditioners under the Eco Cross brand that has an extremely thin fan blade, reducing overall weight and decreasing environmental impact. Multiple Interface Life Cycle Assessment (MiLCA) software provided by the Japan Environmental Management Association for Industry was used for the environmental impact assessment (global warming, resource consumption, and water resource consumption). The analysis found that the Eco Cross fan reduced resource consumption and contribution to global warming by just over 20% and water resource consumption by just over 30% when compared to the company’s conventional products.